The Miniature Pony Centre in Devon has a schools programme suitable for Key Stage 1 and 2 pupils that can include animal handling and learning about a working farm. Located in the middle of the Dartmoor National Park, the centre is dedicated to the care of miniature ponies and foals. Its schools programme welcomes pupils to learn about animal care, farm life and various horse breeds. The Miniature Pony Centre can offer a tailor-made day for school or educational groups which link into the National Curriculum. The centre can tailor a visit around KS1 and KS2 activities, and these can include an introductory talk about life on a working farm, a chance to meet the resident animals, and pony rides at an extra £2 per child. Special services can also be added to each visit. These could be Pony Care Sessions, a Shire Horse Talk, or Animal Handling. Pony grooming and animal feeding are other options designed to support a school visit, allowing pupils to interact with the animals and learn more about each species. All talks and demonstrations are given by knowledgeable staff, and can range from a talk about the different breeds and animals at the centre to a display in the riding arena. The cost is £6 per child for a minimum group size of 20 children, plus one adult goes free for every five children. Every child gets a free return ticket valid until the end of the season as well. Teachers are also welcome to enjoy a complimentary visit ahead of the school trip. 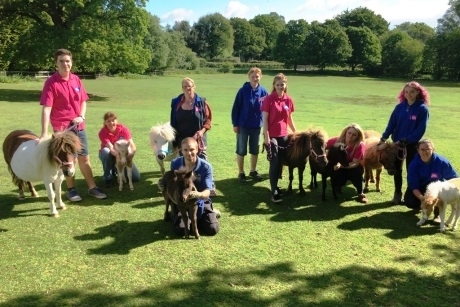 To book or for more information, teachers should e-mail enquiries@miniatureponycentre.com or call 01647-432400. Education is at the heart of the Zoological Society of London (ZSL) which has two zoos in the UK - London Zoo Whipsnade Zoo. Discover the experiences on offer for your next school visit.